Xavier Emmanuel Serrano Rosado, 35, loved performing and spending time with his son. He was killed on June 12, 2016 in the mass shooting at Pulse nightclub. Xavier Emmanuel Serrano Rosado was at home on stage. On stage, the 35-year-old performer was known as Eman Valentino, or simply Eman. A video on Youtube viewed thousands of times shows Rosado gracefully gliding across the stage of Orlando's Parliament House in a leather cape and top hat, to the delight of the audience. Rosado performed at bars and clubs across Florida, on the Norwegian Cruise Line and at theme parks including Walt Disney World, according to the Dobbs Funeral Home, and entertained with energy, laughter and a smile. "A few years ago, my siblings gathered for a reunion at my home in Winter Park," wrote Thor Falk, of Winter Park on Legacy.com. "For a variety of reasons, we were somewhat homebound, so I thought it would be a good idea to have something fun and different to do with my sisters. I arranged for a Xavier to come teach some stiff Norwegians how to salsa. Xavier could not have been more fun and charming. He left all of us with great memories we will carry forever. Rest in peace, dear, sweet soul. We will always remember you with fondness." Rosado, originally from Ponce, Puerto Rico, was also a father. He leaves behind a 5-year-old son. 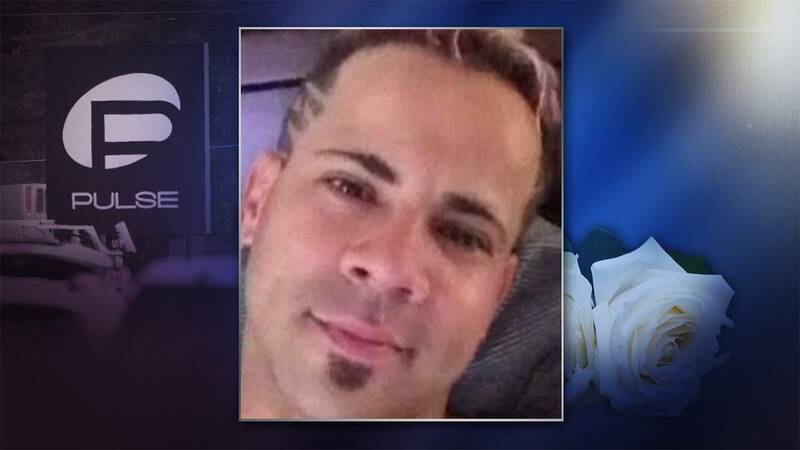 Wilma Lozano, the mother of Rosado's son, said Rosado loved spending time with his son swimming in the pool, watching movies, and playing video games, according to Dobbs. "He was always energetic and always had a smile on his face that made you smile too," Lozano said through a Facebook message. "And if I was down, he knew how to make me smile and get back up." Rosado was killed inside Pulse nightclub on June 12, 2016, along with 48 others. He leaves to cherish his memory,parents Jesus Serrano and Cruz Rosado, both of Puerto Rico; son Kelvyn Emmanuel Serrano, of Orlando; partner Wilma Lozano, of Orlando; brothers Jesus Serrano and Carlos Serrano, both of Puerto Rico; sisters Brenda Serrano, of Wisconsin; and Glenda Serrano, of Philadelphia, according to Dobbs. "I am in disbelief that my friend is gone," wrote Rico of Orlando on Legacy.com. "Words cannot express to the family how much I feel for all of you. His life's focus was built around his child. His personality was contagious and would light up the room. He'll be missed by many. I am sorry." Rosado's funeral was June 21, 2016, at Resurrection Catholic Church in Winter Garden. "I writhed in bed for hours in my head wrapped in all of this," a friend said. "Sleep was nearly impossible, and waking up to the news that Xavier E. Serrano has passed, it’s soul-crushing."